Alright folks, here's your chance to win some books and other prizes from LAIKA's newest movie, ParaNorman. They have, once again, teamed up with Focus Features to make their second stop-motion animated film in 3D! For those of you who are Coraline fans, ParaNorman is right up your alley! When a small town comes under siege by zombies, Norman comes to the rescue. He can speak with the dead, and is called upon to save his town from a centuries-old curse. Click here to see a clip from the movie! Before or after you head out to see the movie, sign up for a chance to win this awesome prize package. I just love reading books about movies before and after we see them. It builds excitement and then serves as a great conversation supporter once we've seen the movie. We can keep reliving the best moments of the movie! Comment below for a chance to the ParaNorman book and goodie giveaway. Two lucky winners will be selected by Betterwithabook.com. US residents only. Disclosure: Thanks to ParaNorman and Focus Features for providing this prize package for us! All thoughts and opinions are my own. I've already seen ParaNorman twice. Not just a wonderful movie for kids, but adults as well! It teaches us that people who are "different" can make the biggest difference. I can't wait to see this movie with my kids. The early reader books look great. Haven't seen the movie yet, but sure my son will live it. Fun giveaways! Thanks for the chance to win. My son loved Paranorman. I didn't see it yet. He would love this! I can't wait to see this movie. The preview looks so good. Haven't seen the movie yet, but it looks cute! Thanks for the chance, this movie is one that even my teenagers want to see. I would love to have this. I can't wait to see this movie. We haven't seen Paranorman yet, but my son and I really want to! I like Better with a Book on facebook. We saw the movie over the weekend. My son would love this! this would be awesome! i still need to see this, but I heard it's great from a friend. I plan on taking the boys soon! I heard this was an awesome movie! What a great prize package! this movie was so good!! I love it. What a wonderful giveaway! Thanks for this! Following betterwithabook on Twitter and tweeted @Austieb7. ------------------- Just liked you on Facebook under: Nicole O. Both of my sons are so excited to see this movie. 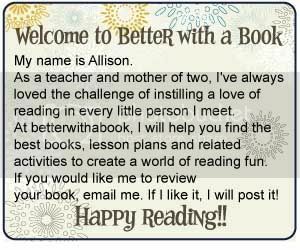 I like Better with a Book on Facebook user Lisa Garner. Thank you for the giveaway! My nephew wants to see this movie so bad, so I'm sure he'd be excited about swag. I took my son to see this last weekend and we both enjoyed it. I like the moral to this story and how it's presented. Lots of fun and definately worth seeing! ------------- I just saw the film last night & I loved it! The animation was really amazing. It was so realistic. I found it interesting how you could see the sun shining through Norman's ears in a couple of scenes, just like they do in real life. It had a great message & I loved Neil. He was so adorably funny. 9/2 daily entry! Fun movie! Daily comment. Thanks for hosting this giveaway! I have not seen it yet but I want to. Like Better With A Book on Facebook. 9/3 daily entry.... definately a movie worth seeing! Absolutely LOVED the movie, the whole family did! Fingers are crossed about the giveaway. Thanks for the opportunity! I liked Better with a Book on FB! Daily Comment Love: If we win I am going to make ParaNorman cupcakes for daughter's 2nd grade class! They will have Zombie Green icing! So hope that we win! Daily Comment: Is it Sept 14th yet???? 9/5 daily comment...thanks for the chance! Daily comment for 9/5. Thanks! 9/6 daily comment...thanks for the chance! Norman is my dad's name. Daily comment for 9/6. Thanks for hosting this giveaway! It's my daily comment for 9/6. Thanks for having me back! Daily comment - thanks for the chance! Daily comment for 9/7. Have a great evening! Daily Comment: Brains Brains Brains!!! Eat them up..YUM! 9/8 daily comment...thanks for the chance! Daily Comment! Se excited about this giveaway! Daily comment for 9/8. Have a great Sat! i'm seriously so excited for this pleaSE!!! I think my boys will enjoy this movie. 9/9 daily comment...thanks for the chance! Daily comment for 9/9. Have a great evening! 9/10 daily comment...thanks for the chance! Daily comment 9/10 ahhh i hope i win!! Daily Comment: Manamana -ZOMBIES! Manamana -ZOMBIES! 9/11 daily comment...thanks for the chance! Daily Comment. i will be so freaking happy if i win this !!! Daily comment for 9/11. Thanks! My son would really like this!! 9/12 daily comment...thanks for the chance! My grandkids would love this!!! Thank you!!! I also like Better with a Book on Facebook. Daily comment for 9/12. Have a great evening! I would love to win this prize pack,it looks like so much fun! Daily comment: Can't believe how many entries there are. Still hopeful! ZOMBIES! Looks like a good show to see with the kids! We just saw this movie, and it was awesome! Can't wait for the movie to come out on BluRay! Really enjoyed it! Daily comment!!!! My birthday's the 16th and it would be soo great to win this oh my gosh. I thought it was magnificent that one of Norman's friends was gay! daily comment 9/13 - I would love this! Daily comment for 9/13. Thanks!! The subject of this movie hits very close to home for me.My 4 kids are really wanting to see this(as am I). Thanks! I would love to win this! I loved the movie! Oh my goodness!! My little brothers birthday's are coming up and this would be so perfect!! great giveaway!! This movie looks super cute! It kind of reminds me of the nightmare before christmas. Last day to comment!!!! YAY PARANORMAN! 9/14 daily comment...thanks for the chance! I can't wait to see this movie. It looks like it will be funny. My son loved this movie and I know he would think the book is awesome, too! My son would be thrilled to own this prize!